Clancy and Hickey both praised St. Louis County voters for passing a measure known as Clean Missouri, which purports to address gerrymandering issues at the state level for elections, and which also will limit campaign contributions to state political candidates and diminish the power of lobbyists to influence their votes on state issues. However, both panelists warned that state Republicans, who largely opposed the Nov. 6 initiative, will seek to undo and void some of its key provisions. One of those state politicians seeking to undo provisions of Clean Missouri is Missouri Senate Pro Tem Dave Schatz, R-Sullivan. Schatz, who has said he has major problems with Clean Missouri, has been the beneficiary of thousands of dollars in gifts from lobbyists who seek to influence votes in the legislature. Schatz is Number 2 on the list of legislators who have taken gifts from lobbyists. The Sierra Club’s Hickey pointed out how environmental groups in Jefferson City are no match for the money bags brought to the Missouri Capital by companies and lobbyists who oppose most environmental initiatives. He said corporate polluters outspend clean air advocates in Jefferson City by 136 to 1. 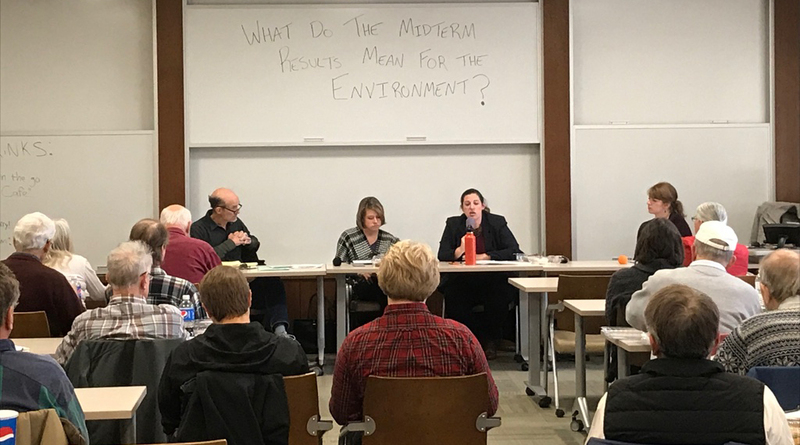 Hickey provided the media with other statistics and a ledger that shows the Missouri Sierra Club, Missouri Votes Conservation, Renew Missouri and the Missouri Coalition for the Environment contributed a total of $9,402 to state political candidates from Jan. 1, 2015 to Oct. 8, 2018. In contrast, Hickey noted that just one polluter, Doe Run Company, contributed $182,176 to state candidates during the same period. Doe Run has been accused by the Sierra Club and other environmental groups of knowingly contaminating thousands of acres of Missouri land with lead. Doe Run Company has operated lead smelter plants in Missouri, such as the giant facility in Herculaneum. The Environmental Protection Agency has declared that lead contamination is extremely harmful to humans and especially for children. Hickey said that lobbyists for polluters need to be reined in. He said Missouri voters agree as illustrated by their overwhelming approval of Clean Missouri in the state’s Nov. 6 election. Roast turkeys have yet to land on our dining room tables and the Grinch is already loose upon us. However, this Grinch is not looking to steal Christmas, but to heist an election and quash the will of the people decided on Nov. 6. Specifically, the Grinch is looking to throw a wrench in changes wrought by almost 1.5 million Missouri voters for Clean Missouri. A 62 percent majority of state voters decided that they wanted to clean up the campaign cash and the gerrymandering shenanigans that have corrupted governance in Missouri. To read Don’s full column in the Webster-Kirkwood Times CLICK HERE.